CANTON, MA (August 31, 2015) – Dunkin’ Donuts is welcoming September by brewing a special coffee promotion to help loyal guests keep running through the start of fall. All throughout the month of September, members of the brand’s DD Perks® rewards program can purchase any size hot or iced Dark Roast Coffee for only 99 cents, when they pay using their enrolled Dunkin’ Donuts Card. Made with 30% Rainforest Alliance Certified™ beans, Dunkin’ Donuts’ Dark Roast Coffee uses a unique roasting process to create a bold flavor and smooth finish without the bitterness typically associated with most dark roast coffees. Additionally, Dunkin’ Donuts is keeping guests running during back to school season with a special coupon for $1 off a box of K-Cup® pods. The single use mobile coupon is available through the Dunkin’ Donuts Mobile App, and can only be redeemed at participating Dunkin’ Donuts restaurants through September 15. Guests who don’t currently have the Dunkin’ Mobile App can download it now to receive the coupon. Dunkin' Donuts K-Cup® pods are available at Dunkin’ Donuts restaurants in a range of varieties, including Original Blend, Dark Roast, French Vanilla, Hazelnut and Dunkin’ Decaf®, all for use with the Keurig® Single-Cup Brewing System. Pumpkin Coffee and Lattes: Dunkin’ Donuts celebrates fall by bringing back the taste of pumpkin to its world-famous coffee and lattes, served hot or iced. NEW Pumpkin Cheesecake Square: Dunkin’ Donuts’ new Pumpkin Cheesecake Square is made up of a square donut filled with smooth and creamy pumpkin cheesecake filling and topped with orange icing, crumbled graham crackers and a white icing drizzle. Pumpkin K-Cup® pods: Available at participating Dunkin’ Donuts restaurants nationwide and online at http://shop.dunkindonuts.com, a box of Pumpkin K-Cup® pods is available for $8.99, or guests can purchase two boxes for $16.99. This variety of the brand’s popular K-Cup® pods, for use with the Keurig® K-Cup Brewing Systems, allows people to enjoy the taste and aroma of pumpkin, nutmeg and cinnamon found in Dunkin’ Donuts Pumpkin Flavored Coffee in individually-sized portions at home. Finally, as Dunkin’ Donuts celebrates its 65th birthday this year, beginning in September Dunkin’ Donuts is also reinforcing its commitment to consumers through a new operations and marketing campaign called the “DD Commitment” highlighting the brand’s pledge to deliver consistently great coffee with every cup. 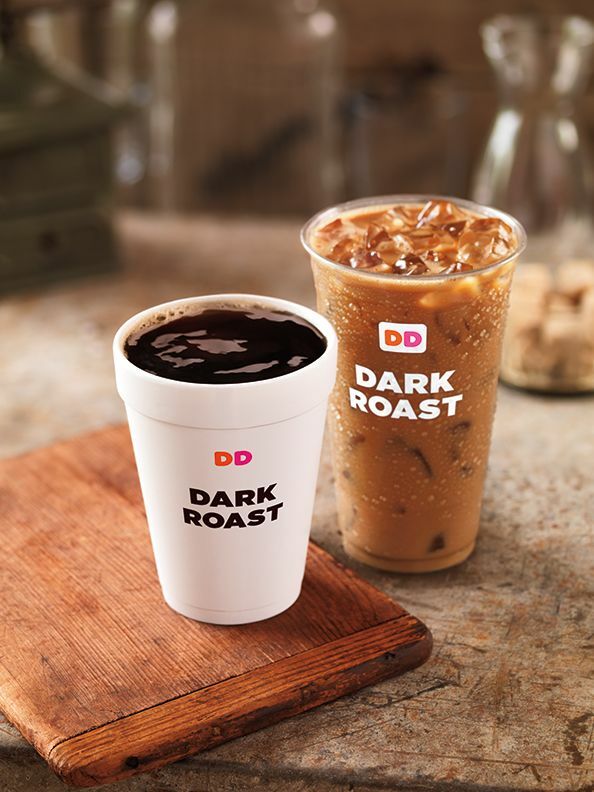 The DD Commitment emphasizes Dunkin’ Donuts’ long-standing mission to make guests’ coffee just right, every time, or make it again on the spot if it is not.